How should I take a test drive? | What Car? How should I take a test drive? 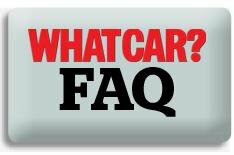 What would you recommend I do when I take a car for a test drive? It's all very well kicking tyres on a forecourt or shopping in the showroom, but that's no substitute for getting behind the wheel. A test drive is a vital part of the decision-making process never buy a car without one. Here's how to get the most out of your test drive. • If you're comparing a wide range of cars, try to test-drive them back to back, or with the smallest gap between each. It's difficult to remember how one car compares with the last if you drive them two weeks apart. • Weekends are a bad time for test drives if you're looking at a popular car from a dealership. Test-drive in the middle of the week when the dealership and the roads are quiet. • Once you've decided on the best car for you, give it an extended test drive. A dealership will probably resist but push for at least a half-an-hour drive. • Don't just drive around the block, make sure you cover a variety of different road types. Try towns, country roads motorways and A roads to get a feel for how the car handles. • If you have a bad back or suffer health issues, make sure you can easily get in and out of the car, and sit comfortably for a period of time. • If the car is to be used as a family vehicle, make sure they all fit in the car, can easily get in and out, and check for cubby holes and storage space if you need to. • If you have a hobby, or a particular need from your car, make sure you try it out with that in mind.